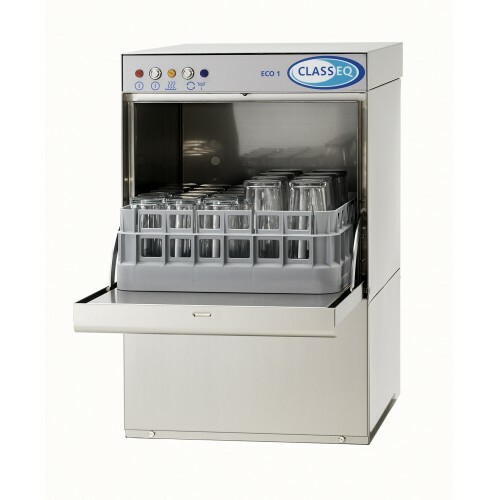 Classeq Eco 1 Under Counter Glasswasher, rack size 350mm square. The Classeq Eco 1 Front Loading Glasswasher with double skinned door to reduce heat loss and lessens noise in operation. Removable rack guides and wash chamber door allow easy cleaning and simple service access. Dimensions 410(W) x 512(D) x 660(H). Rack Size 350 x 350mm. Electrical Loading 2.92kW – 13 amp.